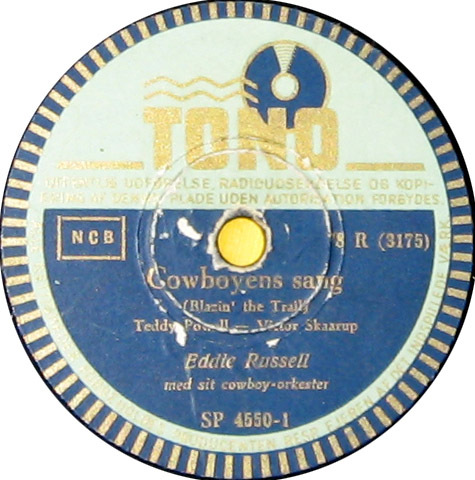 “Cowboyens sang”, sung by Eddie Russell. My uncle played it for me again and again, when I more than sixty years ago was a small kid in Denmark. Today I have – despite my age – two small daughters living with their mother in Munich. I would like to teach and show our daughters a few things from my childhood in Denmark. My uncle playing the mentioned record for me, is the first thing I remember from my childhood, and I would like to “vocalize” my telling about my childhood with this song. Is it possible for you to create a mp3 for me with the “Cowboyens song”? By the way I have an older american version on mp3 (low quality) of the “Blazin’ the Trial to My Home” than the relative fast version by Gene Autry, which you refere to. From your web side I expect that you are not interested in an mp3 version of my version, as I asume you are interesed in “the real tning” (the 78s) – otherwise I would send it to you. If you are willing to send me the mp3 version, I would pay you a good reasonable price in advance (have account in Germany). As I do not yet have the email address you are responding from on my white list, – please do not send me an answer-mail with anything attached, as attachments might land in my spambox, untill I have your mailing address on my “good list”. Sie können mir gerne die Antwort auf Deutsch schreiben, falls das für Sie einfacher ist. I haven´t been blogging for a while now, but will start again soon. 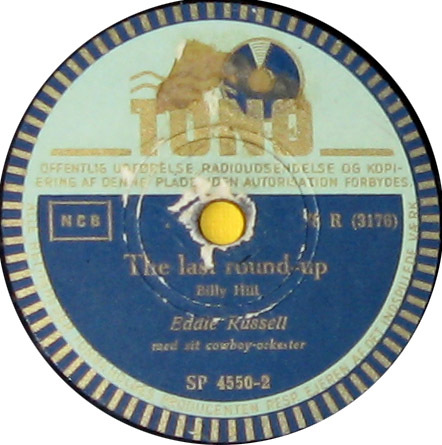 I´ll try to “re-up” Cowboyens Sang as sonn as I get to it.